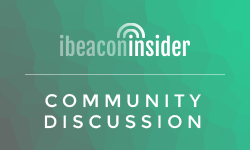 Following in the steps of inMarket and Mobiquity, Duane Reade recently became the most recent retailer to announce a pilot iBeacon program in 10 of their stores in the NYC area. Additional to the value that an iBeacon program brings to customers, it also offers Duane Reade substantial benefits: the company hopes that tracking user movement in stores and tying it to purchase history will reveal new insights into customer activity and preferences. 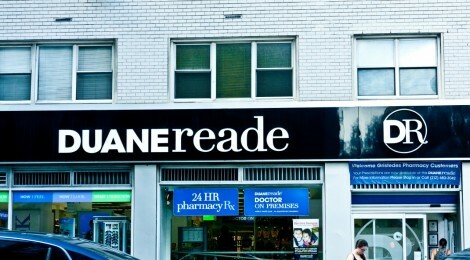 To read more from Duane Reade’s press release – and to see the locations of this initial launch- click here. A question to our readers: How many of you have retailer apps (Target, Walmart, etc.) on your phones, and if so, how frequently do you use them in store? Let us know below! I have – or have had – a bunch of the major retailer’s apps: Target/Best Buy/CVS/Starbuck, just to name a few. If I ever used them for anything, it was to browse coupons or deals. No reason to use “locate store” feature if I have any map program instead, and other infor seemed useless to me. However, would I use them in store? No. More often than not, I would forget. If beacons could remind me to use an app when I am close or near a store, I would DEFINITELY use an app more to browse coupons. If I walk into Target and the Target app wakes up and gives me a coupon for something I was interested in purchasing on my desktop (a different device all together) a few days ago, I would not only be impressed and amazed but THANKFUL that they got this to me, right when I needed it. I think the company that gets this location-based advertising correct is definitely going to help (as opposed to annoy) the average customer. Also, I am hearing more and more about people being upset that beacon is an invasion of their privacy. Hah! I find it humorous that anyone thinks they have ANY digital privacy at this point left to lose. It was interesting to learn that 57 pceernt of adults think about taking steps to keep their work and personal profiles private, but 49% of adults do not use privacy settings on social networking sites. Why is it so important to manage your privacy online? Because mistakes happen 17% of people have inadvertently shared information online that was intended to remain private. Most commonly shared are details about one’s personal life (56%) and personal photos (38%). Check out our recent post to learn How to Change Your Facebook Privacy Settings.